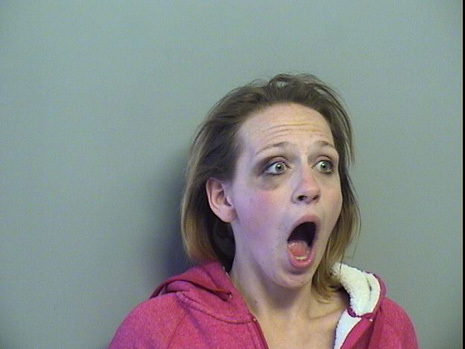 Though she has been booked a few times, Oklahoman Ashley Stabler appeared pretty shocked when she posed yesterday for a mug shot at the Tulsa jail. According to court records, Stabler was arrested in 2011 for assault and battery with a dangerous weapon, though that case was later dismissed. Stabler pleaded no contest in 2013 to a larceny charge, and she has a pending driving under suspension case.